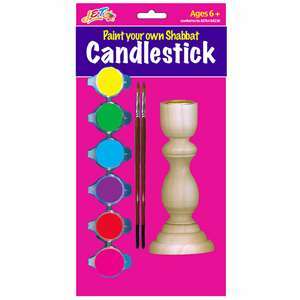 Blister card comes with one unfinished 4.75 poplar wooden candlestick, 6 pots of acrylic paint and 2 plastic paintbrushes. Non-toxic. For play usage only, not intended for use with candles. Each candlestick does have a metal insert.